Going The Distance at 21KM: "The Performance Series 2017" Race 1 Review (by Col Ray) | JustRunLah! 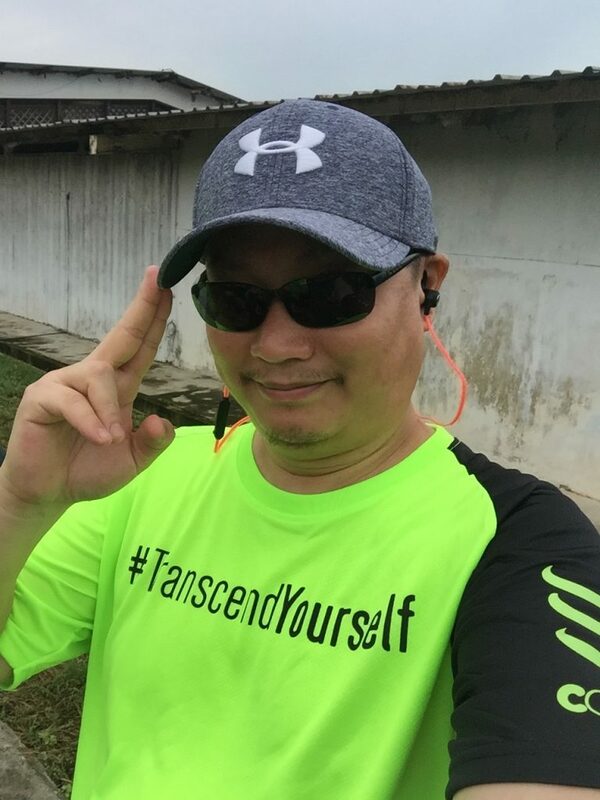 Transcend Yourself! 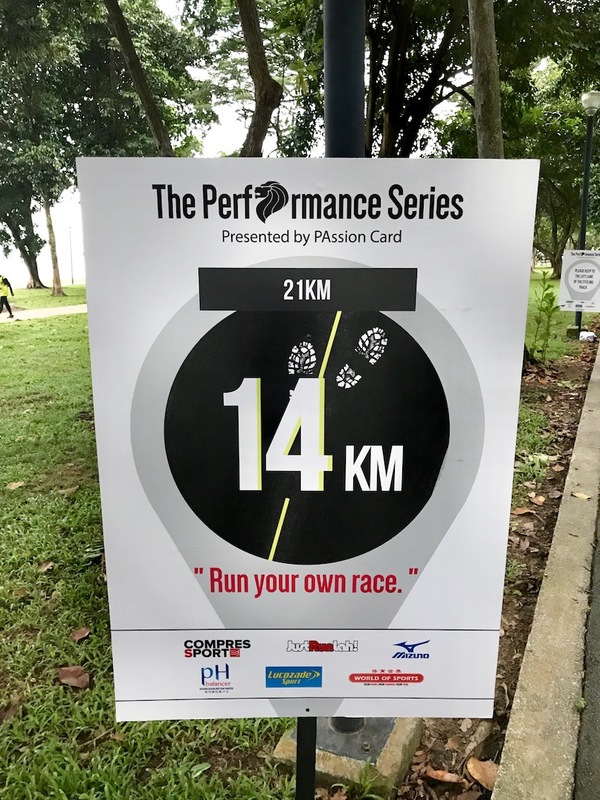 This is the mantra for “The Performance Series” powered by Passion Card together with the many other sponsors and partners which amongst them, JustRunLah! This is the 1st series of race for “The Performance Series” held in Singapore on Sunday, 28 May 2017 at the Stadium Riverside Walk. There are 2 more upcoming races on 13 August and 5 November this year. Transcend: To go beyond one’s own limits, Overcome or Triumph Over. Transcend Yourself, Transcend Myself indeed! This is the second time I am participating in “The Performance Series” and also my first time running in a 21km half marathon. And this is also the first time “The Performance Series” is organising a 21km half marathon. The previous races that took place last year were 10km, 5km and 2.5km respectively. Having participated at numerous runs, I was intrigued and excited when I discovered that “The Performance Series” announced that they are organising the half marathon and I therefore signed up for it without much hesitation. This is also an opportunity for me to challenge myself to go beyond my own limits, overcome and triumph over my fear and doubt that I am incompetent to complete the half marathon. The Race Entry Pack Collection (REPC) was held over 2 days on 20 & 21 May at City Square Mall. 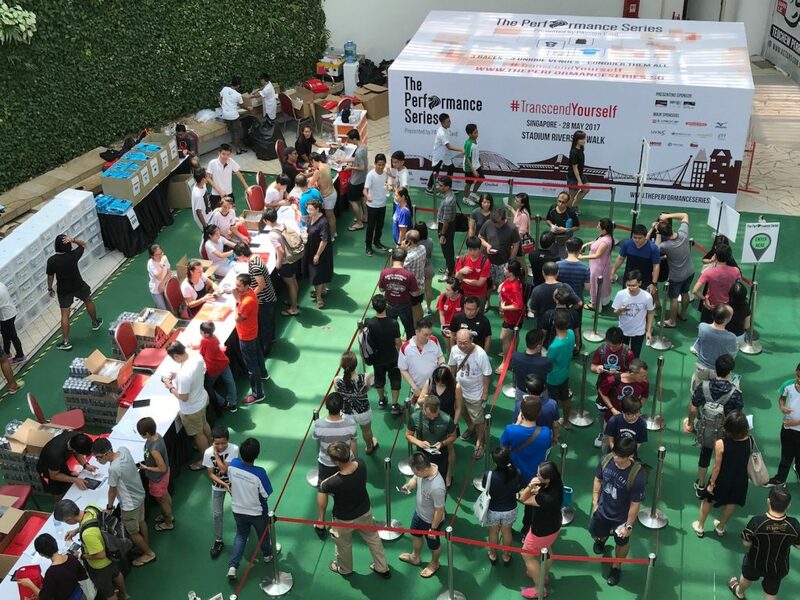 I collected my race pack on the first day in the early afternoon and there was already an overwhelming crowd queuing for their race packs when I reached the venue. However the crowd was well controlled and I managed to collect my race packs within the next 30 minutes upon my arrival. Kudos to the secondary school student volunteers who were helping out at the REPC! You guys have done a great job. Or rather Judgment Day. Haha, kidding! I was all set and eager to run as I have been looking forward to this event for weeks. I arrived at the race village – Stadium Riverside Walk at 4.30am and already, there were many participants. I guessed they were just as excited as me too. 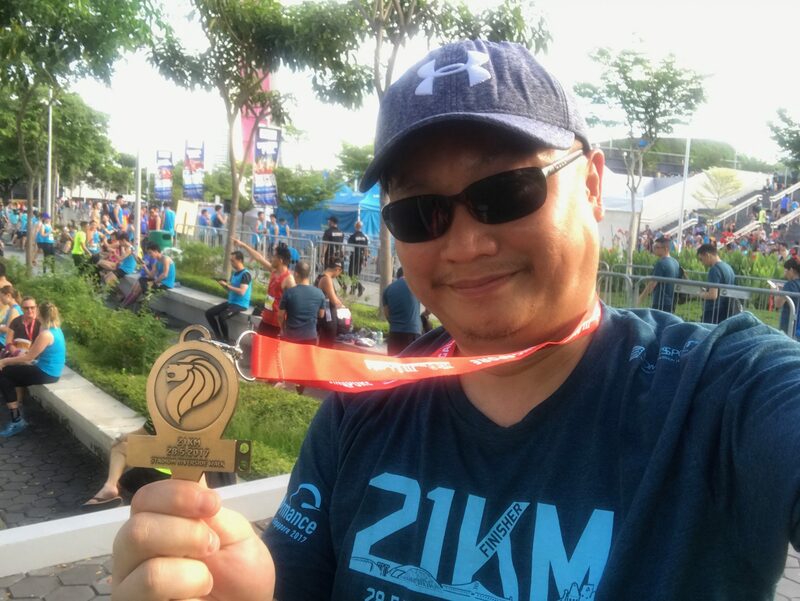 I managed to “trough” my way to the 1st wave of the start pen and the emcee announced that there would be at least 3 waves for the 21km participants. Andy Tan the Managing Director of Just RunLah! flagged off the race at 5am sharp! And off we go for the 1st wave of runners! The weather was cool and in the still of the morning at 5am, all you could hear was the sound of the runners’ footsteps. I would say that there were no major choked points or narrow paths during the entire run except for the cornering adjacent to the Singapore Indoor Stadium that leads to the Tanjung Rhu Bridge, which was a short narrow meandering curve. As it was still dark and the park was poorly lit, everyone slowed down their pace to avoid knocking into one another. The route was a joy to run, as it was mostly flat road except for 2 “minor” hurdles. But to the seasoned runners, these should not pose as any setback for them. One: The slope bridge leading up to the Marina Barrage Roof Garden and second: a slight “uphill” slope of the pedestrian bridge across Fort Road leading towards East Coast Park. 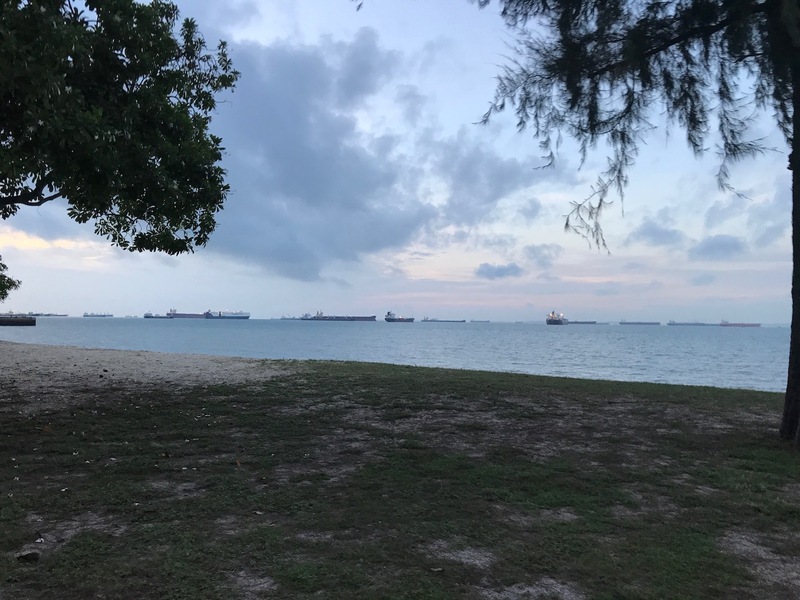 Whilst running along East Coast Park, we could actually hear the sound of horns from the vessels anchored near ashore. I enjoyed the scenic route along East Coast Park and also the sea breezes that cooled the runners off their sweat. Thanks to the organizers of “The Performance Series” for the well thought-through route! There were also distance markers at every 1km mark and unlike the contemporary distance markers, every one of them is different and unique. 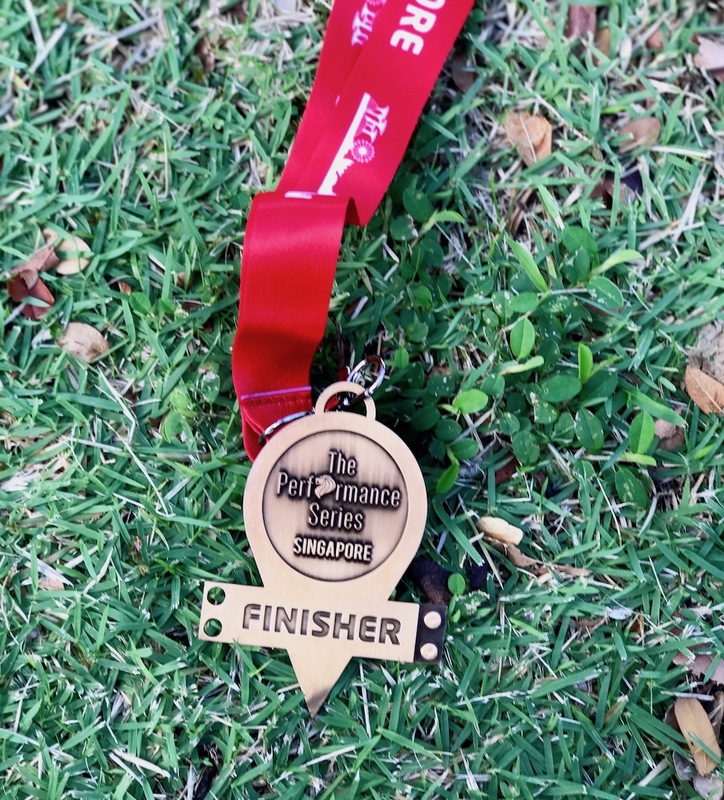 So if you do not have a running watch to tell the distance, you can actually look out for these distance markers and gauge the distance you are at during the run. 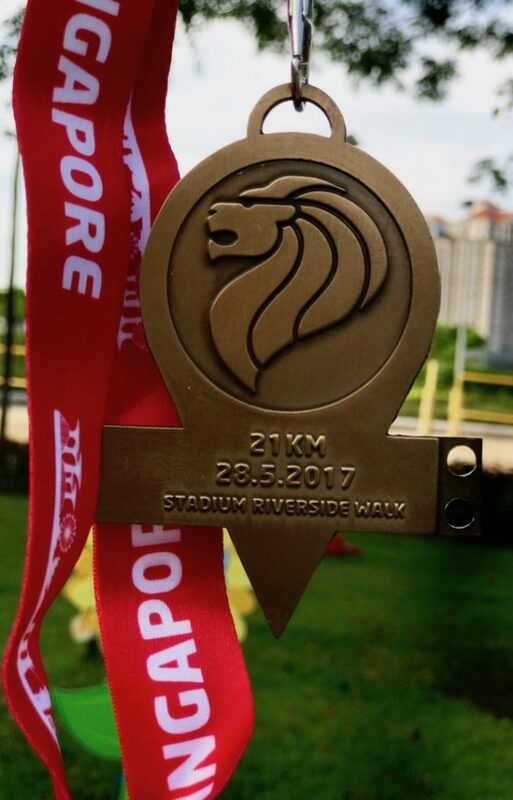 What actually caught my attention are the distance markers at the 12Km and 14km mark. 12km = “No pain, No gain” and 14km mark: “Run your own race.” Indeed! IMHO…This is what “The Performance Series” is all about. #Transcend Yourself. It is not about a race with others or a race against the hours, minutes and seconds but your own race and a race challenging yourself to go beyond your own limits! There were also sufficient marshallers along the running route to guide the runners and they too were encouraging to the runners and cheering them on. 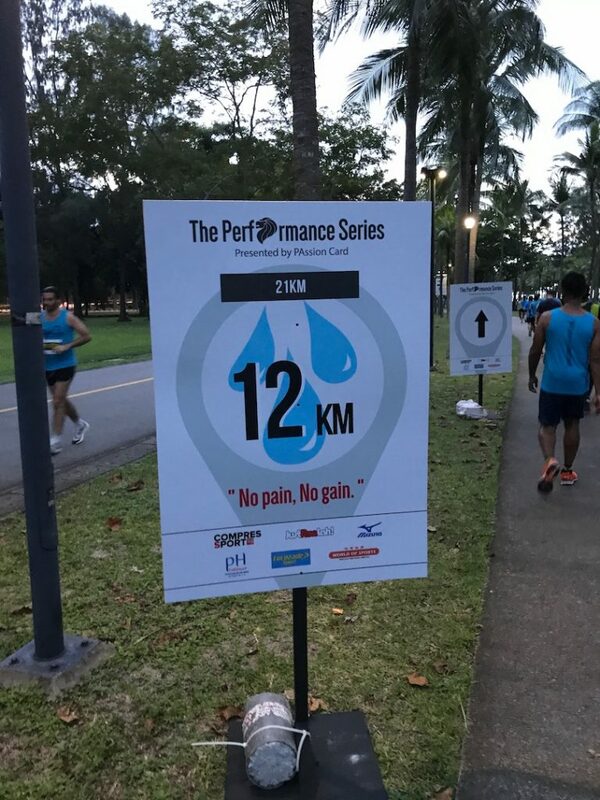 I was initially skeptical about the hydration points for the 21km running distance whether or not there will be sufficient hydration for the runners. My worry was unfounded as there was at least a hydration point at every 2km or 3km mark. We were served Lucozade Sport as well as pH balancer who sponsored the drinks for this event. The Lucozade Sport was chilled at most hydration points and it was refreshing and a thirst quencher for me. Lol! 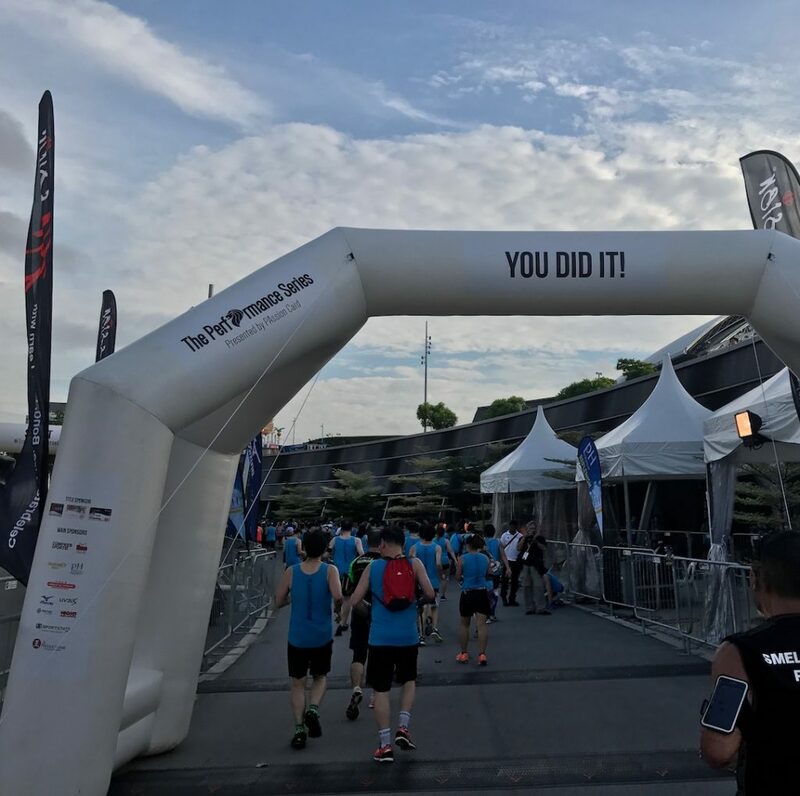 At the 17km mark, I was starting to feel exhausted, as I have to again cross the pedestrian bridge across Fort Road to get back to Tanjung Rhu and to the Finishing Point. Just as I was about to cross the bridge, I saw another distance marker that says: “You got yourself this far! Just keep running!” Haha…! These distance markers surely served yet another purpose, that is, motivation to us runners! After running for another 4km…Finally! Yes finally! I successfully crossed the finishing line. I did it! You did it! We did it! There were further giveaways of chilled canned Lucozade Sport drinks and bottled pH balancer. After receiving the drinks, I proceeded further to the medal and finisher t-shirt collection point. The medal is a beauty that resulted in me exuding a wide smile, as it is after all my first 21km half marathon. Along with the medal is also the finisher t-shirt that I donned soon after and took a pose with them. As the world begins her daily affairs, my soring but happy feet are now resting on my couch and it’s my turn to say goodnight world and hello tomorrow for a better run next time! Click here for more post from Col Ray.